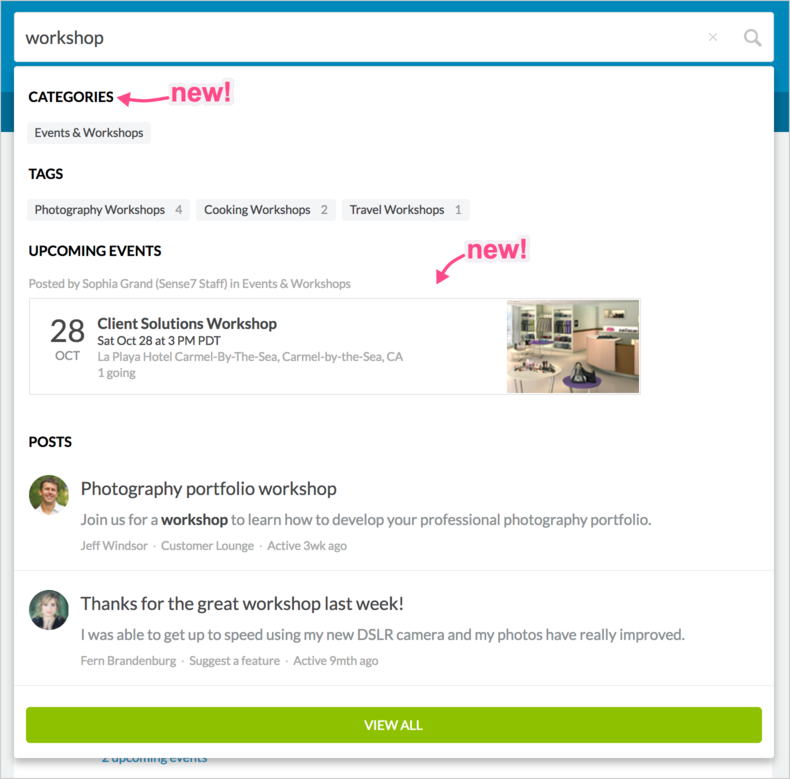 Today's release includes updates to the Search function that provide new capabilities and performance improvements. You can now conduct a search using the partial spelling of words. Results update instantly as you type and return matches that start with the letters entered. Search results now include Categories that match the search phrase. Events are now returned in a dedicated "Upcoming Events" section. To search for an exact (literal) phrase, enter your search query in quotes. To exclude results that contain certain words, prefix the word with a dash.